Like all American Girl dolls, Grace stands 18 inches tall, with molded face and limbs, and a soft body. 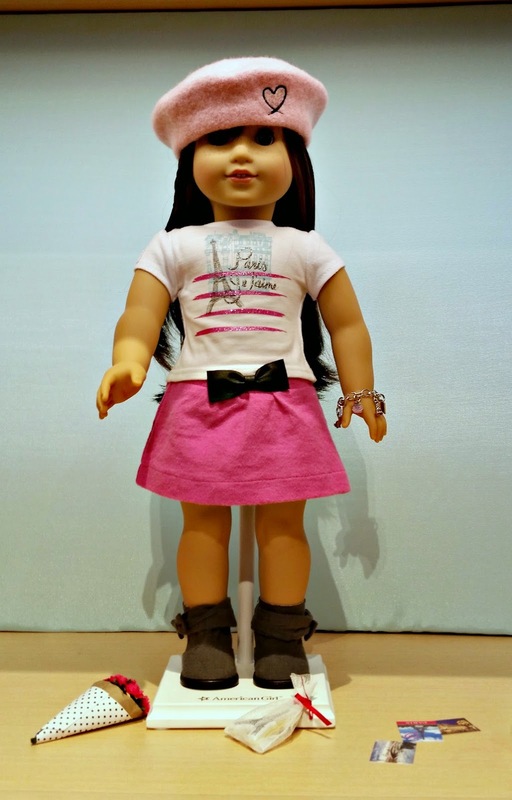 She comes with a printed shirt, pink miniskirt, grey boots, a doll bracelet, and a book. Grace has a beautiful face, with blue eyes and a light dusting of freckles. Grace has long brown hair with a side braid and sideswept bangs. The Pea wants bangs like Grace! Grace's shirt is a screen-printed tee with a glittery Eiffel Tower design. One sleeve of the shirt has a Grace applique. Grace's grey suede boots look so stylish and comfortable. I wish they made those in adult sizes. 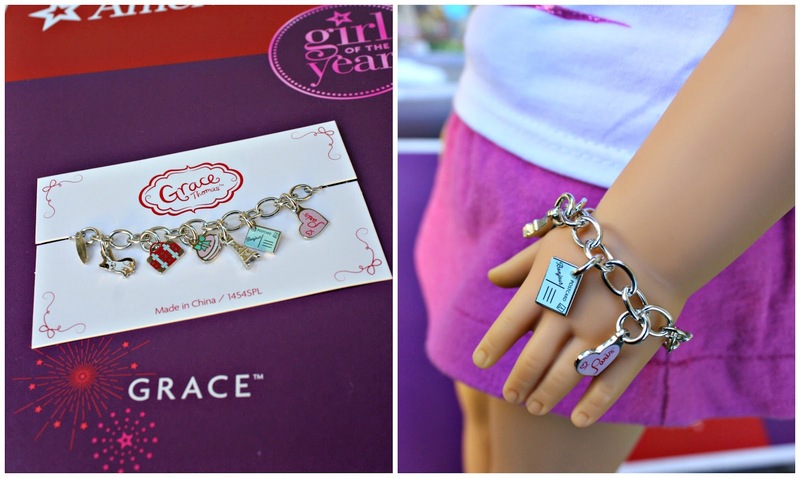 Grace comes with a doll charm bracelet. The charms symbolize the things that Grace loves: travel, the Eiffel Tower, cookies, her dog. The bracelet is a bit tricky to put on, but once it's on, it won't come off easily. It looks great on Grace's wrist! I can't wait to dress Grace in different outfits and get her started with her baking! We've made some adorable sweet treats out of polymer clay. 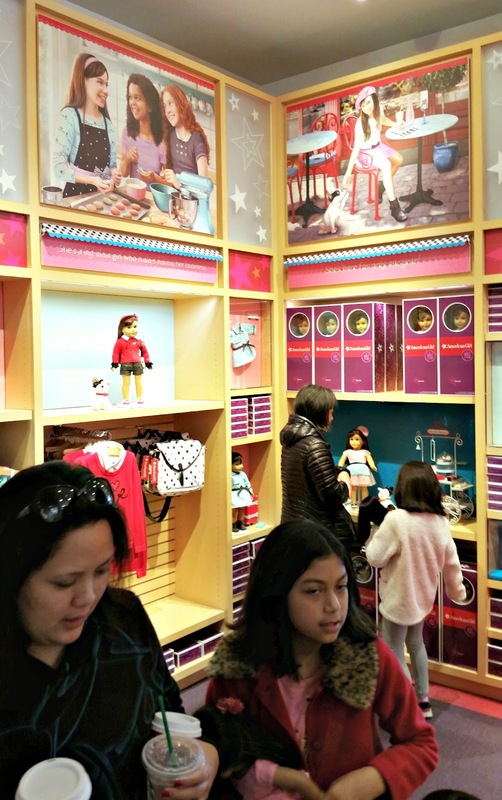 Stay tuned for future Grace Thomas posts and more photos.... and in the meantime, check out my photos of some of the Grace Thomas playsets at the American Girl store! Disclosure:I received a sample for review. The views and opinions expressed here are my own. I'm hosting a DisneySide @Home Celebration! I received free product from Disney Parks and other sponsors. Whenever I enter a Disney park, something happens. I walk faster, I smile wider, I hug the kids more. Like most people, it's easy for me to show my fun, playful side -- my Disney Side -- at Disney. But just because you're not at a Disney park doesn't mean you can't show your DisneySide! All it takes is a enjoying Mickey pancake for breakfast, sipping your coffee from a Disney mug, or wearing a Disney shirt. Even better, why not throw a party to celebrate your DisneySide?! This month, hundreds of hosts around the country will be celebrating their DisneySide at home. Each celebration will be as unique and as special as each host. I'm excited to announce that I've been selected as a DisneySide @Home Celebration host for the second year in a row! 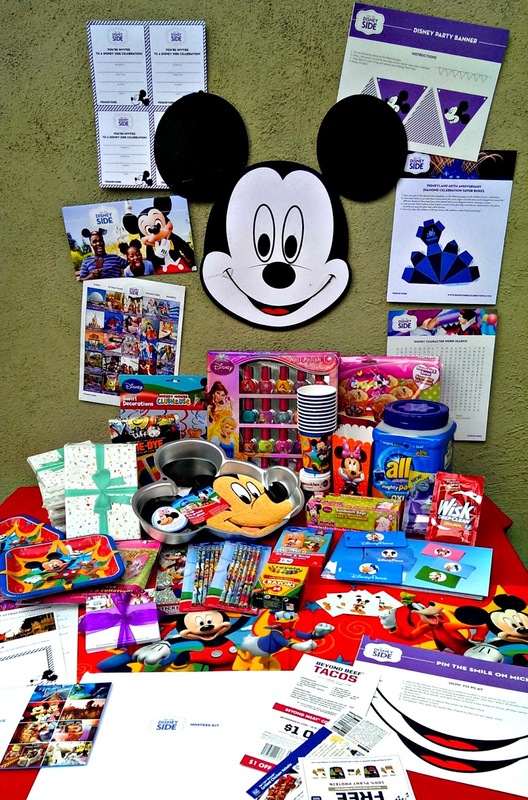 To help us prepare for our parties, Disney Parks and the MomSelect team sent each host a gigantic party box filled with partyware and other goodies. 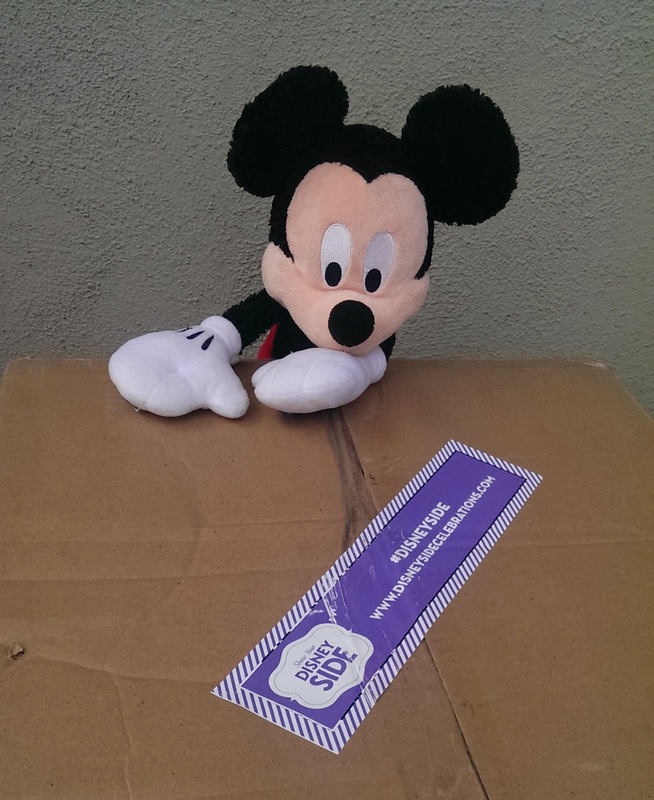 Last year's DisneySide party box was incredible, and this year's box was just as special. When our box came, Mickey could barely contain his excitement! Actually, he contained it better than I did; I couldn't wait for my kids to get home so only Mickey and I were present for the great box opening. This year, hosts were selected to host parties with a variety of themes -- Disney Villains for teens and tweens, Disney Princess for preschool girls, Disney Cars for preschool boys, a Multigenerational Disney party, and a Mickey and Friends party. I received a Mickey and Friends box. Each box is slightly different (even boxes with the same theme vary slightly in content), so each time a hostess opens a box, there's always a bit of excitement and magic. Take a look at THAT -- Yikes!! 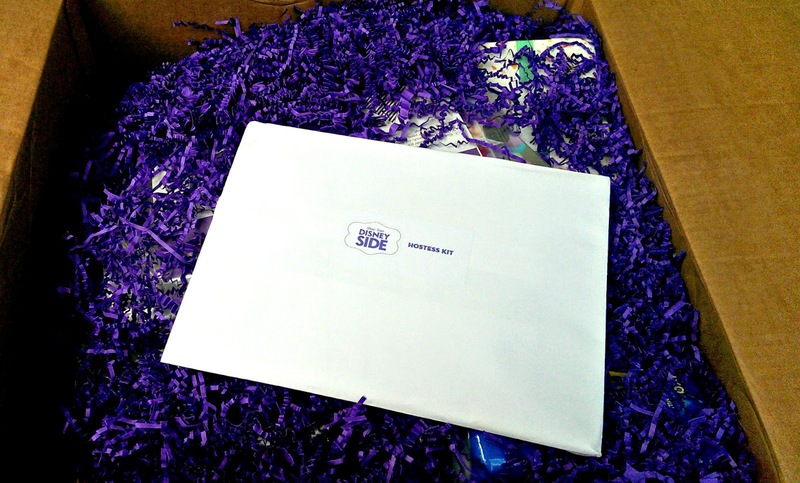 The box contained anything and everything a DisneySide hostess would need to throw a magical DisneySide party, and more. It was so difficult to show everything in one photo, I had to tack stuff up onto the wall! Keep reading for close-up photos and a detailed list of the box contents. I made an unboxing video if you prefer videos to photos; I set it to Supercalifragilisticexpialidocious because that's the only word that properly describes this box! 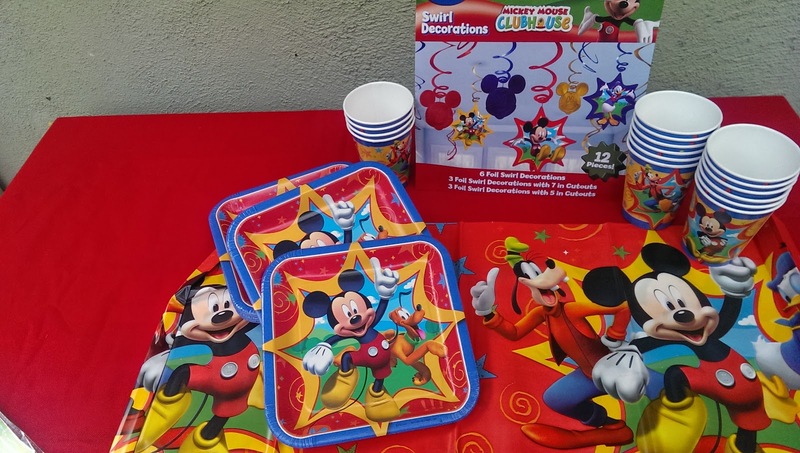 First, all the party basics: Mickey-themed plates, cups, tablecloth, and decorations. 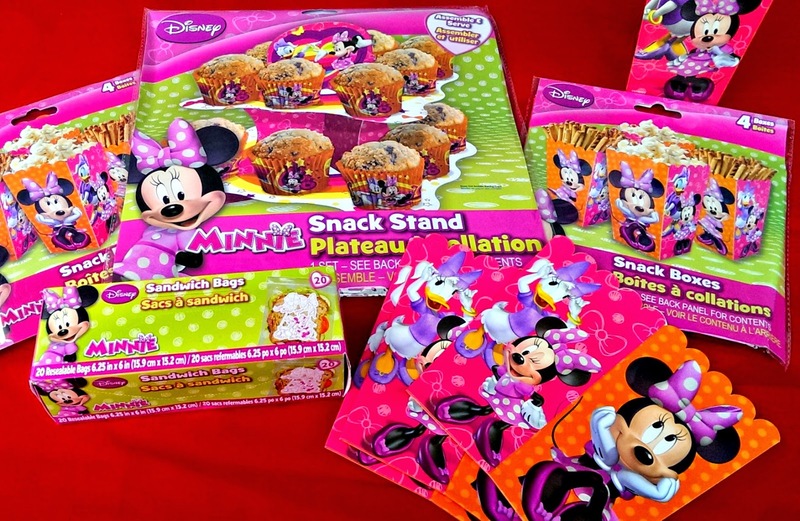 A Minnie snack stand to display cupcakes, Minnie snack boxes to hold popcorn or pretzels or cookies, and Minnie sandwich bags so we can pack some treats for our guests to take home. 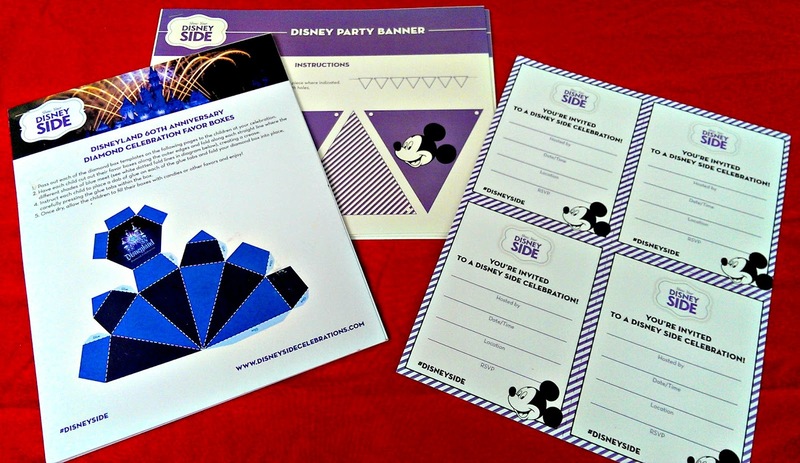 Party printables: party invitations, party banners, and special Disneyland Diamond Anniversary edition (yes! Disneyland is celebrating its 60th year!) favor boxes to cut out and assemble. Party games: Disney bingo, Disney word search, and Disney trivia. Another party game: Pin the Smile on Mickey. He also makes a great wall decoration! 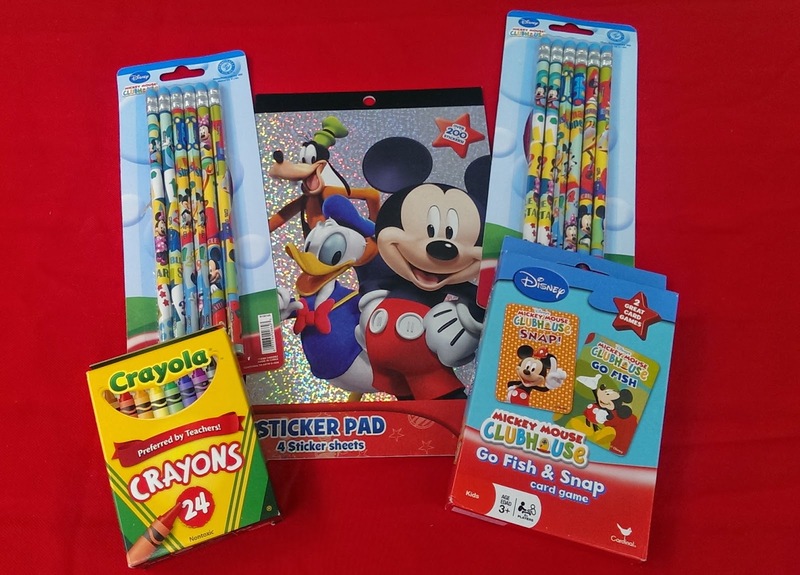 Prizes and party favors: Mickey pencils, Mickey stickers, a box of crayons and a set of cards. More party favors: a Disney Princess nail polish set! We won't have any girl party guests, so my two nieces will soon be very happy little Disney Princesses! 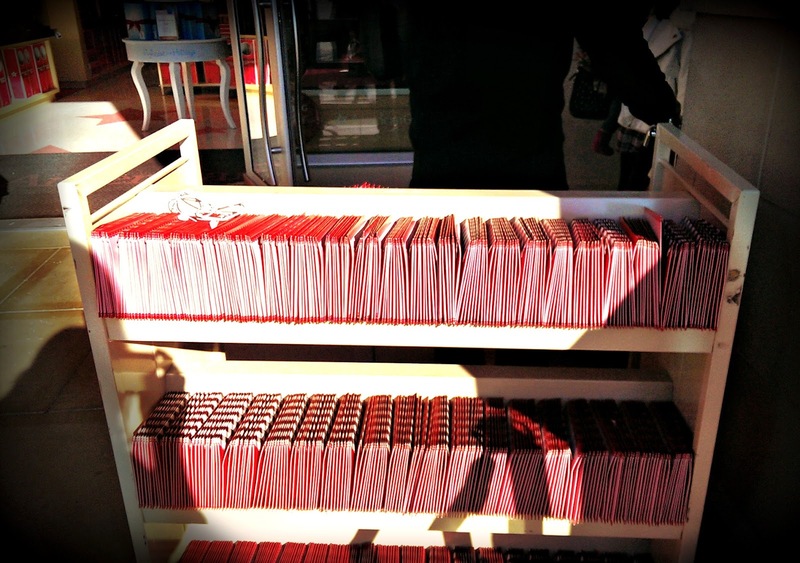 Souvenirs and memories for guests to take home: Disney luggage tags and HP photo paper packs. 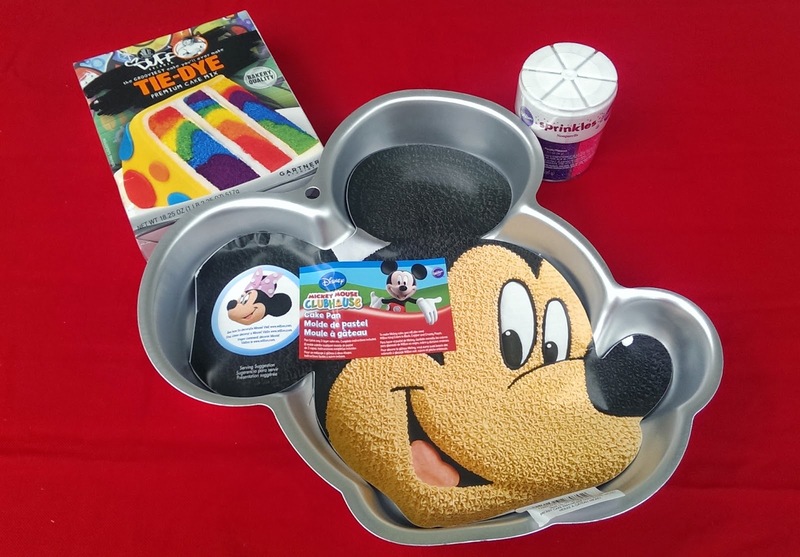 Treats: a Duff Goldman (Ace of Cakes) tie-dye cake mix, a Mickey head-shaped baking pan, and Wilton sprinkles. I cannot wait to bake! A hostess kit with instructions, recipes, tips, and ideas. 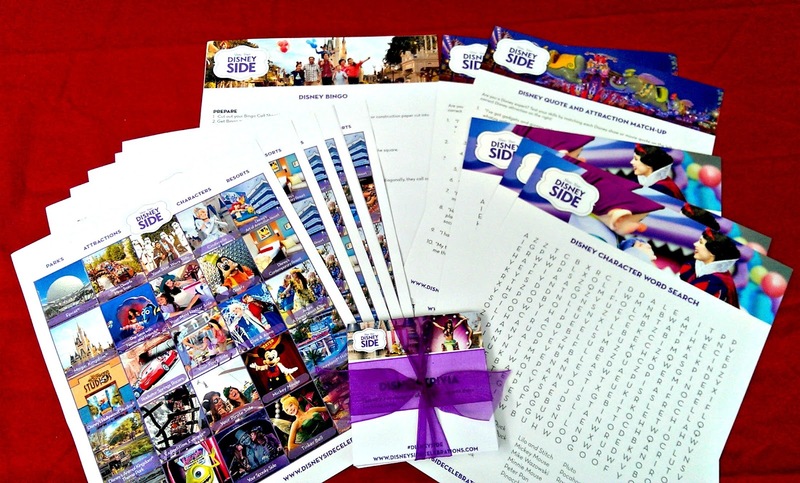 The kit also included a Disney Parks DVD, Mickey stickers (yay, more party favors!) and coupons for free Soy Vay and Beyond Beef. 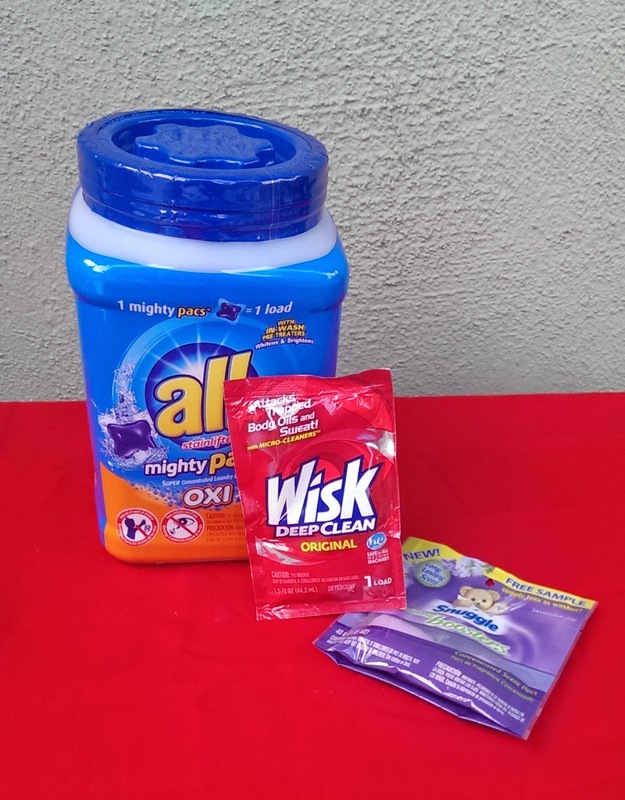 To help clean up after the party is over: All laundry detergent, Wisk, and Snuggle. All, Wisk, Snuggle, and HP are this year's party sponsors, so I'm super grateful for their participation. Thanks to all the sponsors, to Disney Parks, and to the Mom Select Team for putting all of this together! So, what kind of DisneySide party are we throwing? 3Po will be celebrating his 11th birthday with a paintball party, so we decided to show our DisneySide at the same time! The bright, vibrant colors of the Mickey and Friends partyware reminded me of colorful paintballs, so we are having a Mickey Paintball Party. It's going to be very original, very creative, and a lot of fun :) Stay tuned for more posts on our upcoming DisneySide party! 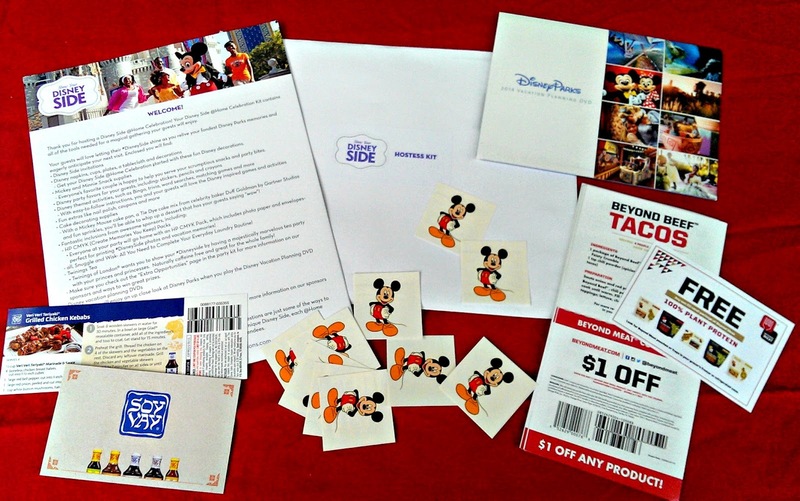 If you'd like to throw your own DisneySide celebration, check out www.disneysidecelebrations.com for printables, recipes, activity ideas and tips. You can also join in the fun, share the excitement, and stay up to date on any DisneySide twitter parties and contests on the DisneySide @Home Celebrations Facebook page! Disclosure: I received free products from Disney and other sponsors, via MomSelect, to aid me in throwing a DisneySide party. The views and opinions expressed here are my own. Do your kids love Spongebob Squarepants? 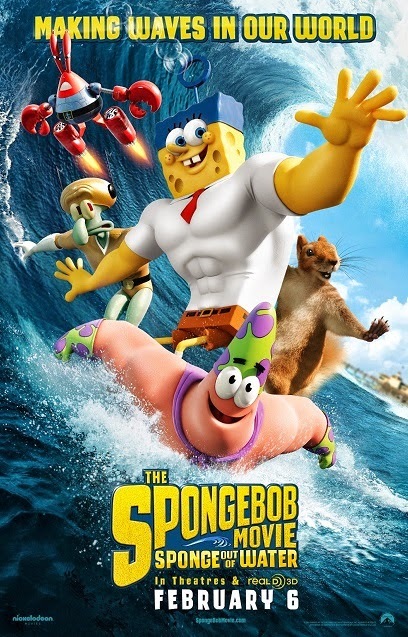 Mine do, and they can't wait to see the new Spongebob Movie when it comes out next month. 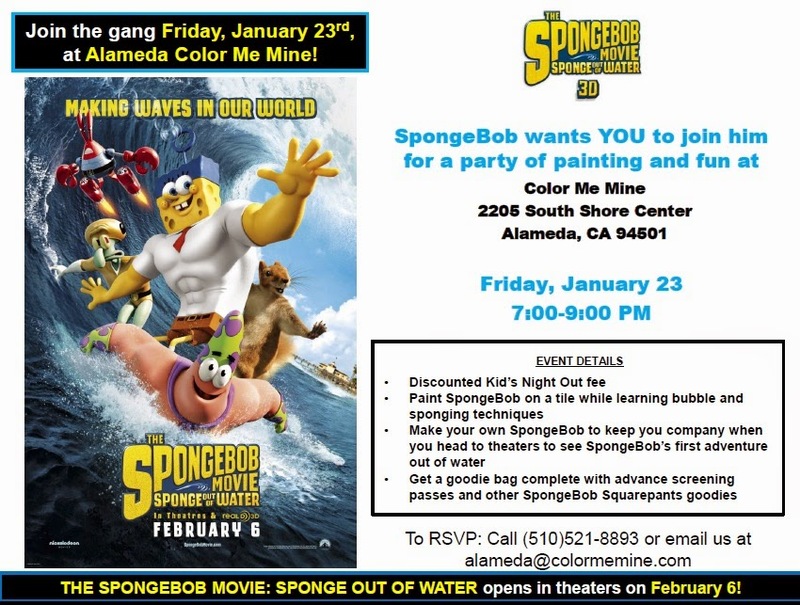 If you're an East Bay resident, you can take advantage of your kids' obsession with Spongebob by treating them to a Kids' Night Out at Color Me Mine, while you and your partner treat yourselves to your own night out! Details are below, sign up ASAP! In search of a date night? Look no further! Kid’s Night Out is a drop-off program so that you can have a couple hours to grab a nice dinner or take in a new movie. Contact Color Me Mine Alameda for more information and sign ups. Disclosure: I did not receive a sample or monetary compensation for this post. I received a product sample to facilitate my review, but have not been paid to review the product or give my opinions. Product information (in italics) is provided by the featured company/product. The views and opinions expressed here are my own. It's time for Disney on Ice! 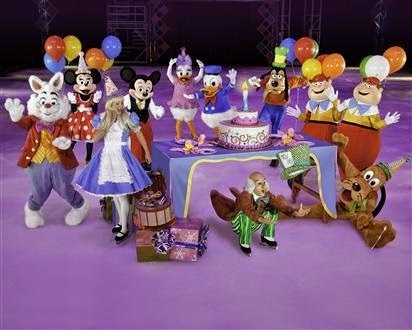 Make an ordinary day extraordinary when Disney On Ice presents Let’s Celebrate! - Presented by Stonyfield YoKids Organic Yogurt brings more than 50 Disney characters from 16 beloved Disney stories together in the Bay Area for one colossal party on ice! This fun-filled show features a magical montage of celebrations, holidays and festivals from around the globe set to a blend of contemporary music and favorite Disney songs, performing at SAP Center in San Jose on Wednesday, February 18 through Sunday, February 22 and Oracle Arena in Oakland on Wednesday, February 25 through Sunday, March 1. Tickets are now on sale. Join Mickey Mouse and Minnie Mouse on a delightful tour as they celebrate a Halloween haunt with the Disney Villains; a Very Merry Unbirthday Party with Alice and the Mad Hatter; Mardi Gras with Princess Tiana and Prince Naveen; a Valentine’s Day Royal Ball with the Disney Princesses; a Hawaiian luau with Lilo & Stitch; a winter wonderland with Woody, Jessie and Buzz Lightyear; traveling to far-off exotic places including China for the Chinese New Year, Brazil for Carnival and Japan for the beautiful Cherry Blossom festival Sakura. 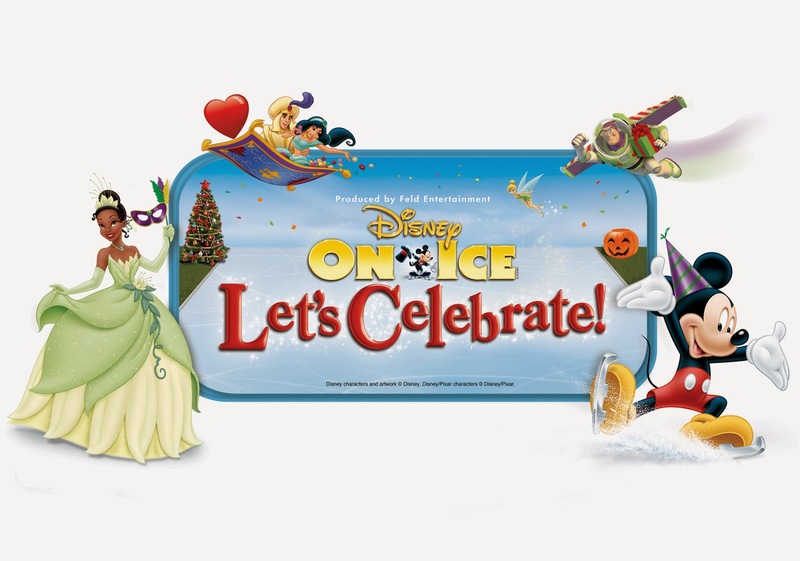 Disney On Ice presents Let’s Celebrate! - Presented by YoKids is the ultimate jam-packed celebration of the century featuring fun and surprises for the whole family! All seats are reserved; tickets available thru Ticketmaster.com, charge by phone at 800-745-3000 or visit the venue Box Office. Disclosure: I am a Feld Family Entertainment blogger. This post is purely informational, and content was received from Feld Family Entertainment. I did not receive a sample or monetary compensation for this post.. I've always been a big fan of children's books. I read avidly as a child, and we read to our kids every day. 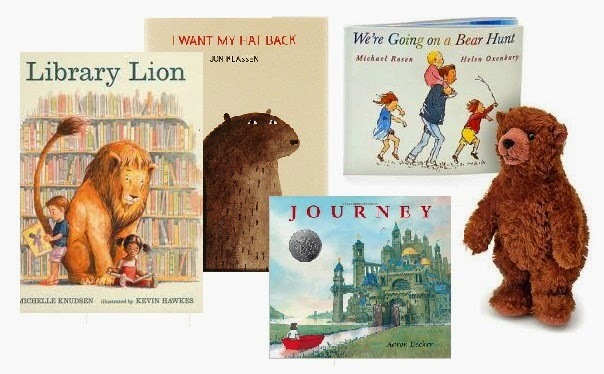 Not only do I have happy memories of reading some books to myself, such as any Dr. Seuss or Richard Scarry book, I have happy memories of reading them to my kids! Of course, there are tons of books that weren't around when I was a kid, but there are so many great new books we discovered when we became parents, such as anything by Mo Willems. Some are books that were around when I was a kid, but never knew they existed, such as anything by Eric Carle. As Time Magazine says, there has never been a better time for children's books! 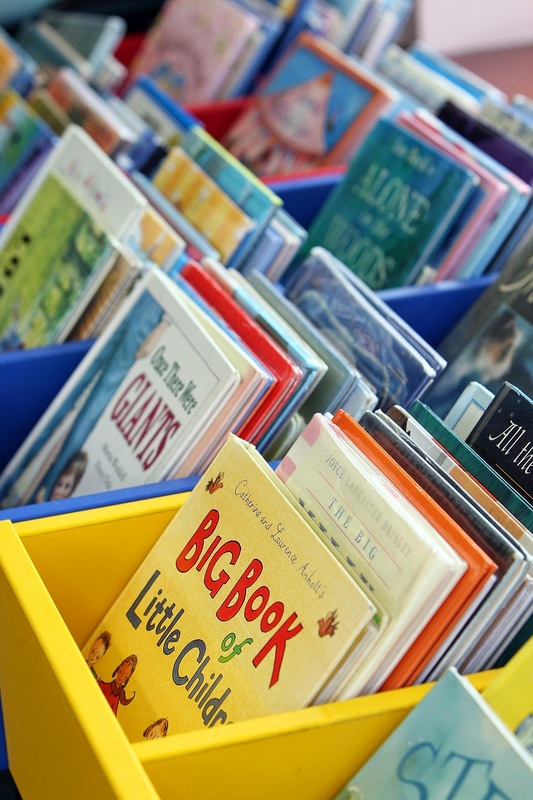 There are so many amazing books out there, there's really no excuse not to read to your child. These are truly some of the best books I've read -- these are the books my kids will be reading to their kids! It makes me wish my kids were still young enough for me to read all the other books on the list to them! One lucky winner will receive a prize pack consisting of 4 of the books from Time Magazine's list of Top 100 Children's Books of All Time! All four are published by Candlewick Press; Candlewick also has 6 of its titles included in Time's Top 100 Young Adult Books of All Time, as well as many great titles from some of our favorite authors and series, including Kate DiCamillo, M. T. Anderson, Jon Klassen, and Laura Amy Schlitz; the widely acclaimed Judy Moody, Mercy Watson, and ’Ology series; and favorites such as Guess How Much I Love You, Where’s Waldo?, and Maisy. Enter via Rafflecopter below. Giveaway ends 11:59 PST on February 5, 2015. I will draw a winner after that date and post their name once the winner has been confirmed and verified. Continental US residents only. For more giveaway rules, click here. Good luck! Disclosure: Prize provided by Candlewick Press.. The views and opinions expressed here are my own. I'll never forget my twins' first time playing in the snow. They were just over a year old, and we took them and their big sister to Tahoe for some winter fun. Alfie's parents were visiting from England so they came along, and we all had a great time. The boys looked so adorable in their snow clothes! We borrowed a sled, and Alfie dragged them around the snow as they screamed with laughter. We were celebrating Alfie's birthday, so we bought an ice cream cake (naturally!) and sang Happy Birthday to Alfie in the snow. As you can imaging, traveling with twin 14 month-olds and an almost-3 year-old is no small undertaking. We brought tons of clothes, diapers, and wipes -- but that didn't keep Jammy from having a huge blowout in his pants as his grandfather was taking him to the restaurant where we were having dinner! It's a good thing his diapers held up, otherwise it would have been SO much worse! That's a memory we still laugh about, 10 years later. Throughout the boys' babyhood, The Great Diaper Blowout of 2005 served as a reminder of how important to have a diaper that you can depend on, like Pampers, and a dependable place to get it, like Babies "R" Us. 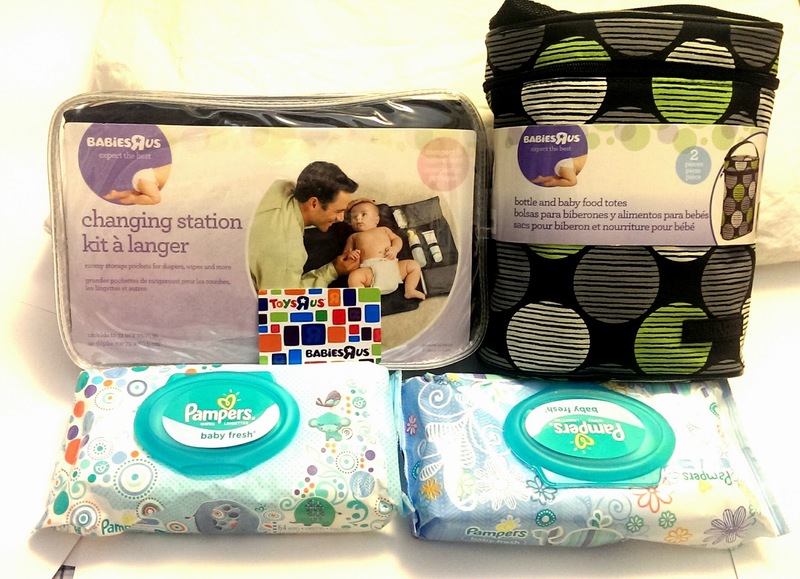 This January, Babies “R” Us and Pampers are ringing in the New Year with some exciting news -- Pampers Swaddlers and Sensitive Wipes have won the 2015 What-to-Expect Mom’s Love -It Award! The award is not a surprise, considering Pampers is the #1 choice of hospitals. Moms can feel confident knowing they can walk into Babies "R" Us and get ALL the products needed for a safe and happy babyhood, like Pampers Swaddlers, Pampers Wipes, Dreft detergent, and more. For me, knowing there are brands out there like Pampers and Babies "R" Us looking out for moms meant less worrying about repeats of The Great Diaper Blowout of 2005 and more time to enjoy my kids' milestone moments! From Jan 2. – Jan. 17, with a purchase of Pampers Jumbo Pack diapers or Easy-Up training pants, Pampers value box of wipes (13x) & Dreft 50oz detergent, you receive a $10 Babies “R” Us gift card! Enter via Rafflecopter below. Giveaway ends 11:59 PST on February 3, 2015. I will draw a winner after that date and post their name once the winner has been confirmed and verified. Continental US residents only. For more giveaway rules, click here. Good luck! Disclosure: I received a prize pack to give away as well as a prize pack for myself, courtesy of Procter & Gamble via Blue Chip Communications. The views and opinions expressed here are my own. I can hardly believe that The Little Mermaid is celebrating its 25th anniversary. I vividly remember the very first time I watched it. My boyfriend and I took my sister and cousin to the movie premiere. They must have been 7 or 8 at the time, and I cried harder than they did. I knew I would love the movie forever, and I was right. The Little Mermaid launched a new generation of Disney movie musicals, and a whole generation has grown up with the music. I bought a movie soundtrack CD many years ago (long before I had kids!) and I still know all the lyrics to all the songs. 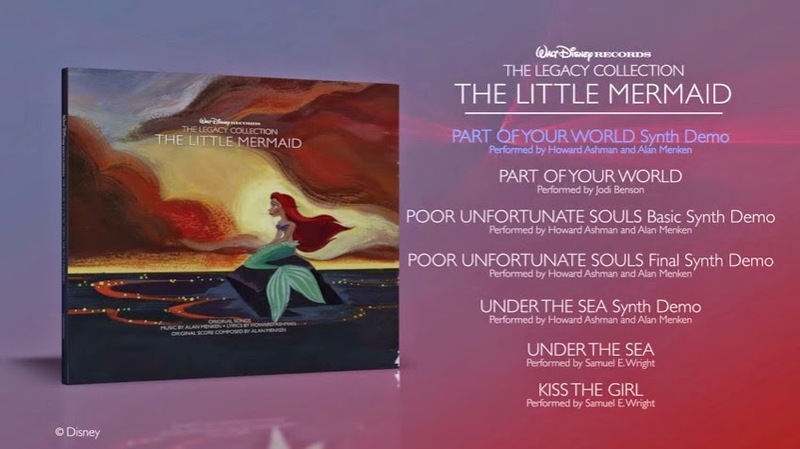 Now, a new generation of kids will grow up listening to Kiss The Girl, Under The Sea, and all the beloved songs from the movie, with the Walt Disney Records' 25th anniversary release of The Legacy Collection: The Little Mermaid. Disc 1 features the songs and score from the film by Alan Menken and lyricist Howard Ashman, and Disc 2 features work tapes and song demos performed by Menken and Ashman. The collection also includes a 20-page booklet with gorgeous artwork and liner notes. I absolutely love Disc 2 because it really gives fans a glimpse into how the songs started out. You get to hear the artists behind the words and music. Listening to Disc 2 is somewhat bittersweet because Howard Ashman died of AIDS in 1991, but it's so good to know that his legacy lives on in his words. 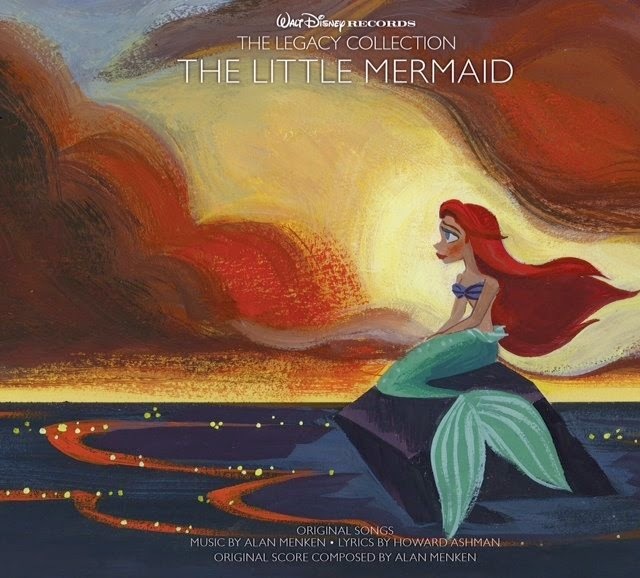 Walt Disney Records The Legacy Collection The Little Mermaid 2-disc set is now available at http://smarturl.it/lclma1 and at Disney Music Emporium: disneymusicemporium.com. For more information on Disney Music Emporium, please visit, DisneyMusicEmporium.com become a fan at Facebook.com/disneymusicemporium or follow them at Twitter.com/DisneyMusicEmp. 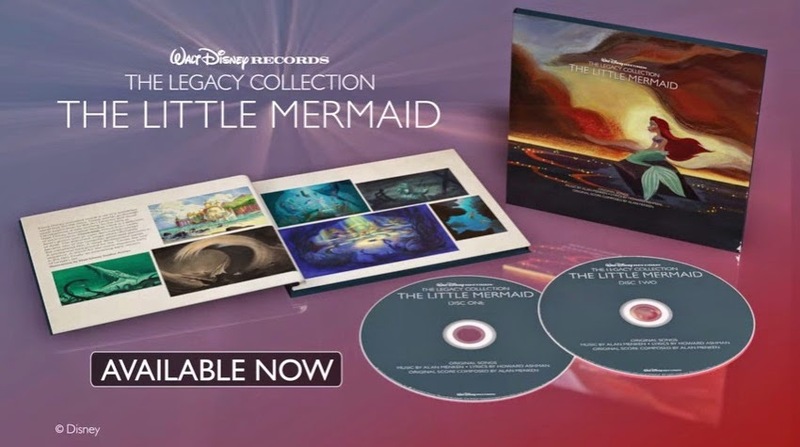 One lucky Bonggamom Finds reader will receive a Little Mermaid Legacy Collection CD! Please note, if you have already won this prize on a giveaway sponsored by Entertainment New Media Network another blog, you will not be eligible to win twice. Enter via the Rafflecopter widget below. Good luck! Disclosure: I received the Little Mermaid Legacy Collection CD as a member of the Entertainment New Media Network. No further compensation was received and all opinions are my own. This post may also contain affiliate links. 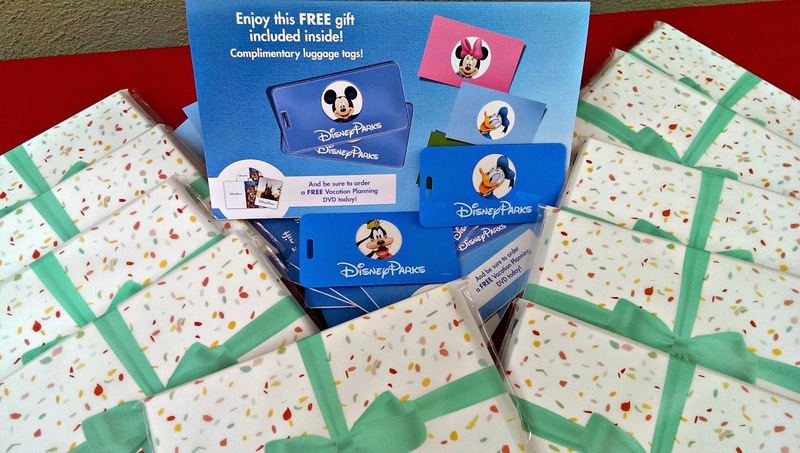 Giveaway prize provided by Disney Music via Entertainment New Media. 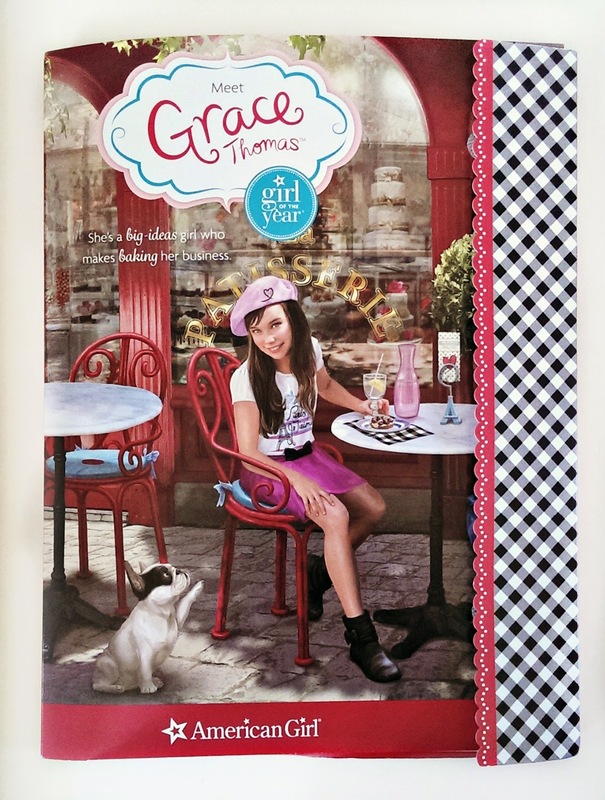 Meet American Girl's 2015 Girl of the Year: Grace Thomas! 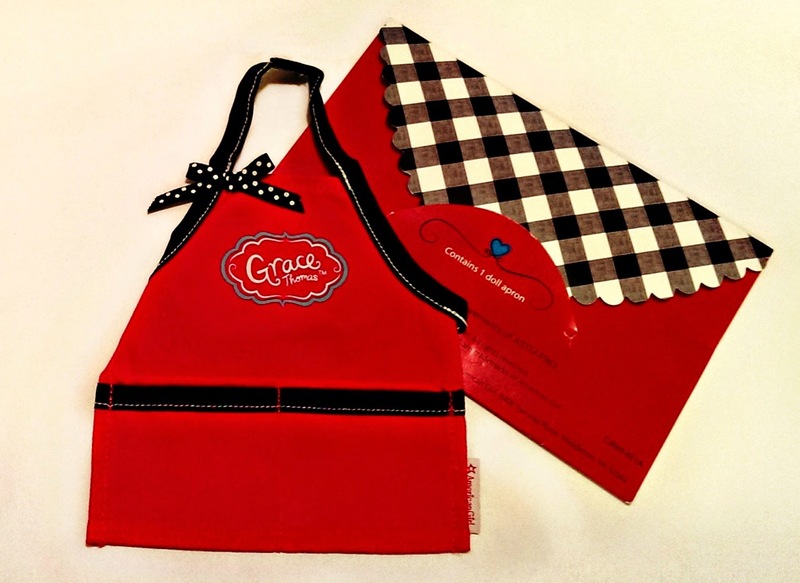 Enter to win a doll apron, Grace book and Grace folder! 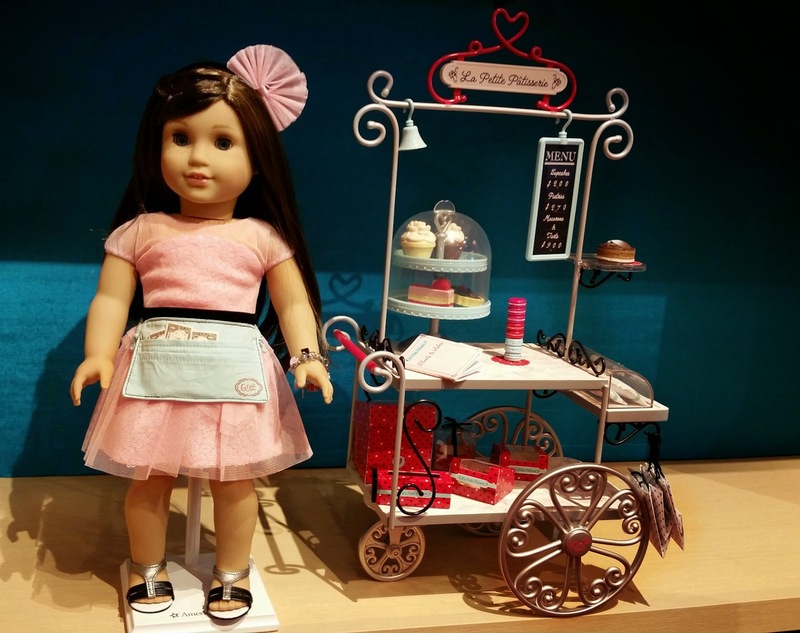 To celebrate Grace's arrival, American Girl provided free doll aprons, free luggage tag craft, and a free cookie decorating craft on New Year's Day. I had been seeing photos of long lines at the stores on social media all through the morning, but by the time we got to the store (around 11:00AM), the line was less than 50 people long. We waited less than 20 minutes and there were still lots of free doll aprons available (although by the time we left the store, 40 minutes later, they had run out of aprons!). I'll show you a photo of the apron later in this post! 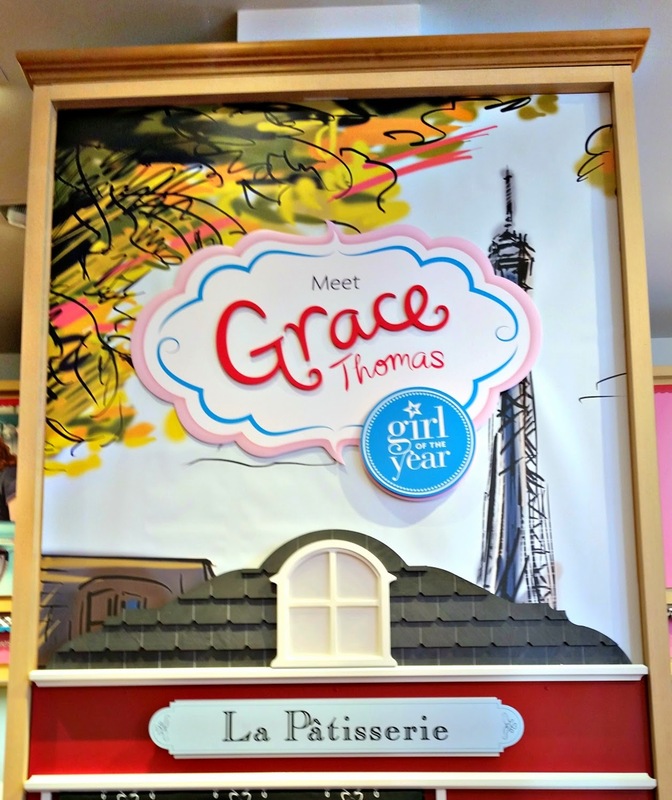 The American Girl Store is filled with new Grace Thomas signage and displays. Her colors are black, light blue, red, and various shades of pink -- talk about Parisian chic! 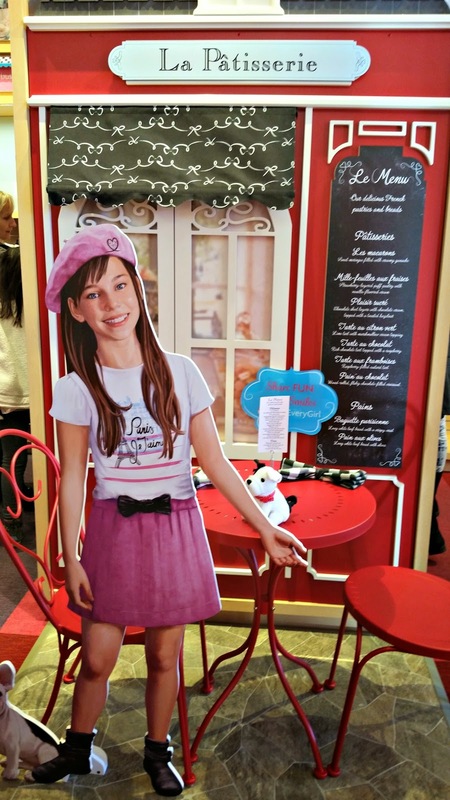 There is a life-sized display of Grace standing in front of her French Bakery, La Patisserie, with a red bistro table and chair set so girls can sit down and have their photos taken with Grace. The Grace doll ($120 with book) has long brown hair with bangs, blue eyes, and a light dusting of freckles. 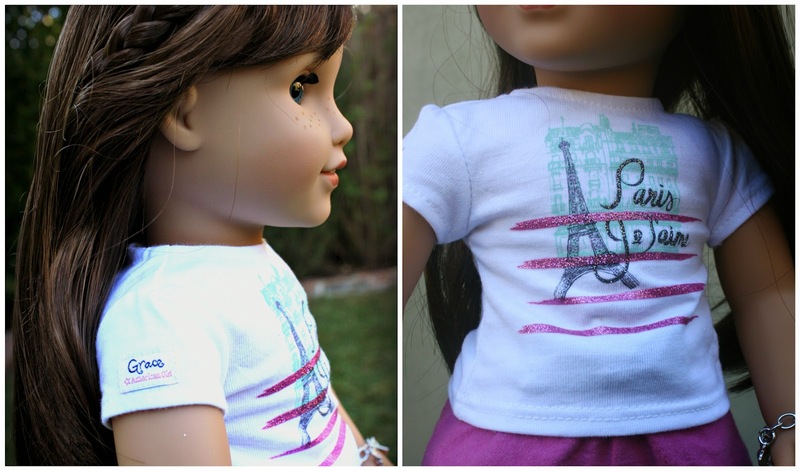 She comes with a pink Paris tshirt, a pink skirt with a black bow, and grey boots. 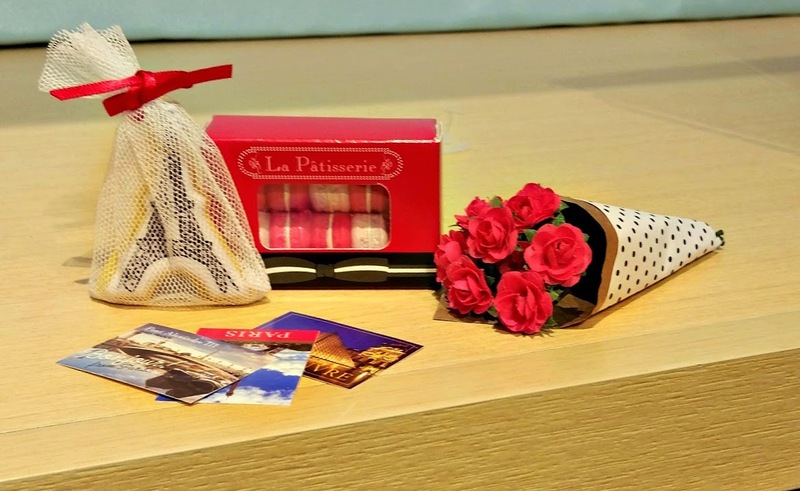 Grace's Welcome Gifts accessory pack ($32) comes with a pink beret, a flower bouquet, postcards, an iced sugar cookie, and a box of French macarons. The macarons are adorable, and I can see myself making more doll-sized macarons and other baked treats from Fimo clay! 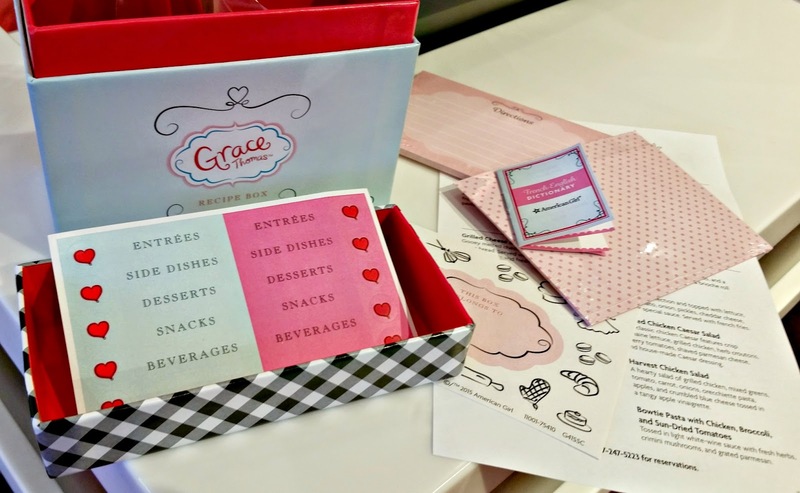 If you have a reservation at the American Girl Cafe, you can buy a Grace recipe box for $10. The box includes recipe cards, sticker labels, a doll recipe book, and a cookie cutter shaped like the Eiffel Tower. Grace is a baker, so I'm totally in love with all her playsets and accessories. I think I like Grace's accessories more than any other Girl of the Year so far! Check out her adorable Pastry Cart ($150) which includes a ton of dainty pastries. It even has boxes for the pastries, a chalkboard menu, and a tiny bell! In the photo, Grace is wearing her Opening Night Outfit ($38), but the money belt on her waist is actually part of the Pastry Cart set. Check out Grace's sparkly silver sandals! I have a ton of photos to share, but I'll stop here because I want to get to the good part -- a giveaway! One lucky Bonggamom Finds reader will win a Grace Thomas prize pack! 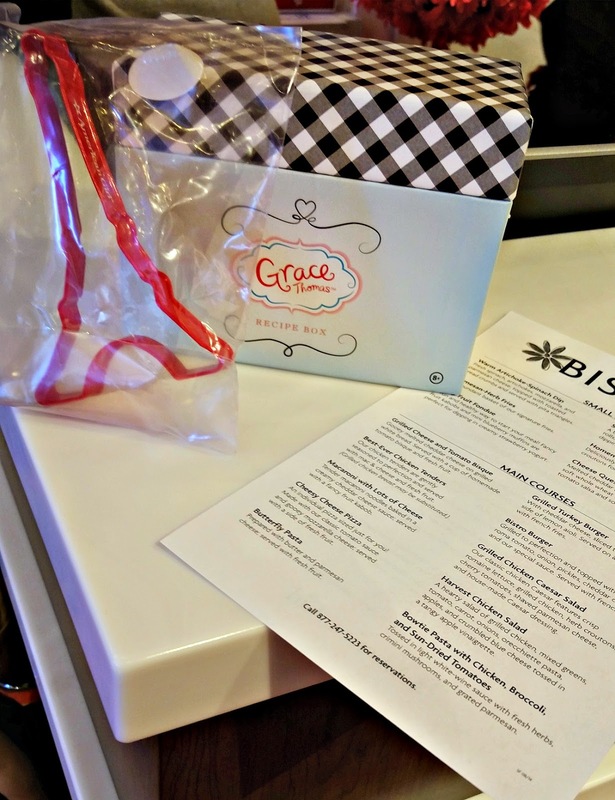 I'm giving away the Grace doll apron that was given to me at the American Girl Store as a special free gift to celebrate Grace's arrival. It's not available for sale online, in stores, or in the catalog (although I already see it on sale on eBay!) so it's an exclusive item! 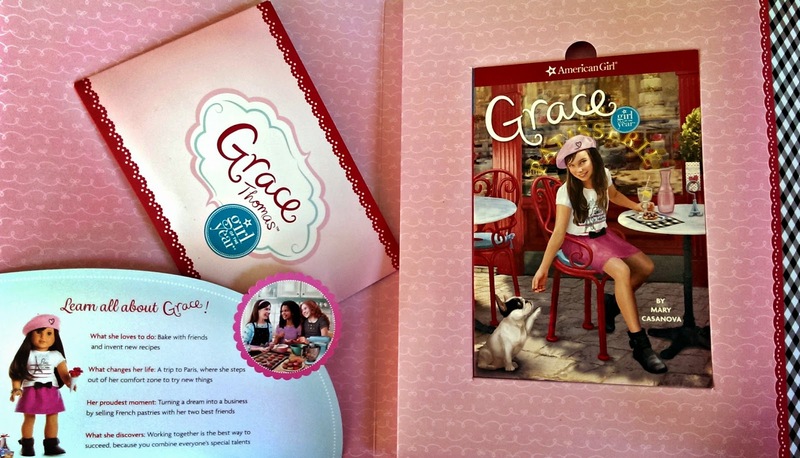 Along with the apron, I'm giving away a Grace book and the folder that American Girl's PR department sent me with Grace's press kit. The giveway ends 11:59PM midnight PST on January 25, 2015. I'm trying Rafflecopter this year, so enter via the Rafflecopter widget below! Good luck, and Happy New Year!